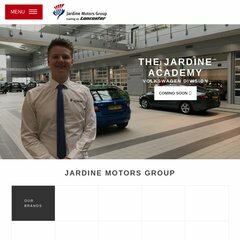 Topics: Jardine Academy, Rewards & Benefits, Career Advice, Employer Of Choice, Ferrari, and Bentley. It has 2 DNS records, ns1.namecity.com, and ns2.namecity.com. It is hosted by Iomart Colocation Network (Scotland, Glasgow,) using Microsoft-IIS/6 web server. The programming language environment is ASP.NET.